The biggest selling point of the K70 and why most would want to have one would be the Rapidfire Cherry MX key switches. These keys have 1.2mm actuation and only need 45G of force. In comparison to a bunch of other keyboards I’ve used including the Logitech G910 – there is a very noticeable difference in activation and overall feel. For me, I much rather prefer the Corsair Rapidfire keys over Logitech’s Romer-G mechanical switches. 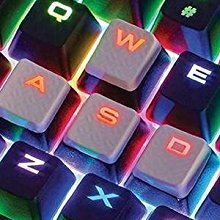 These are also clicky and loud just like any other mechanical keyboard but there is more response to them. They have a bit of a light jump as you go from key to key. It’s hard to explain the typing experience on the K70 but it’s definitely the best that I’ve experienced. It also comes with optional metal grey key caps that are slightly angled and textured for WASD. The same texture and slight angle caps are also available for the QERF keys. I decided to use the textured key caps on WASD that way I can always tell where they’re at and the angle feels just right. At first I thought these key caps would hinder basic typing but I haven’t felt the need to switch back and at this point I know I won’t. The spacebar also has this same texture as the optional key caps and it feels great. I’ve purposely pushed down hard on the spacebar to test overall durability and it doesn’t get stuck or anything at all. It is very smooth detaching and attaching it. You can’t say the same with other brand name keyboards that are comparable to this one. At first, using these keys with the super light force and actuation was weird. It took a few days of getting used to it but after being used to it, it’s easily the coolest keyboard experience I’ve had to date. Durability is the strong suit with the K70. The frame is made out of aircraft-grade anodized brushed aluminum which guarantees an extreme level of durability. On the back side there are notches for elevating the keyboard on both the top and bottom so you’ll be able to have it however is most comfortable to you. I could see the use of the bottom elevation while using the wrist rest that comes with. I believe the wrist rest should have been a bit larger but that’s just my personal taste on it. I prefer to have it off but it really comes down to personal preference at that point. All of the multi-media keys that you need are here and they work as expected. There is a volume scroll wheel at the top-left of the keyboard which is precise. The Corsair K70 Rapidfire design is the most durable design I’ve seen in a keyboard so far. There is also a Windows-lock key as well as a brightness key next to the volume wheel. There are 3 brightness levels and the Windows-lock key can actually lock more than just the Windows key with the included software. The cable is thick and braided nicely, it’s the toughest cable I’ve seen with a keyboard. There are two USB connections to use but you only need to use the one with the keyboard logo on it if you’re plugging it into a USB 3.0 port. If you only have USB 2.0 ports available then you’ll need to use both of the USB connections to draw enough power to the keyboard. There is a USB port at the back of the keyboard as well as a BIOS switch. The BIOS switch allows older BIOS interfaces to recognize the keyboard for use within BIOS. Design wise, the only thing missing with the K70 would be macro keys. I personally never really used macro keys on other keyboards but I know that many keyboard users do so that’s about the only thing it’s missing. 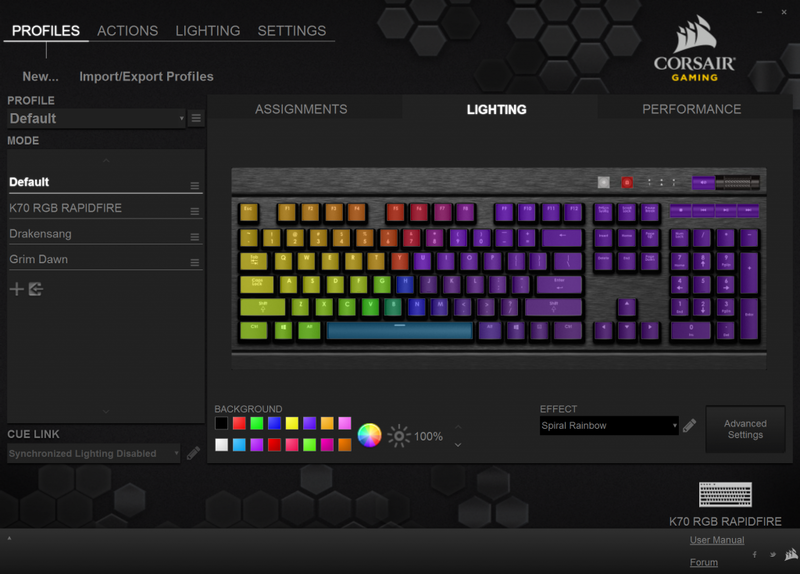 There is a lot you can do with the keyboard within Corsair’s official software as well which is what we’ll go over next! As with the rest of the newer peripherals with Corsair, this also uses the CUE (Corsair Utility Engine) software. There are plenty of pre-made lighting choices that you can choose from such as cycling through all of the colors or doing a spiral rainbow effect. You’re able to toggle these effects and if you wanted to you can make very elaborate profiles after learning how it all works. I’m not going to lie, it took a little while to get used to how it works but after getting used to it I see why Corsair made it the way it is. There are a multitude of options available for lighting and there are also tons of custom profiles made that are available for download. It’s pretty simple to import these profiles and they can be used as inspiration as well for creating your own custom lighting. Along with all of the lighting options you can also set up macro recordings as well as adding in a sound effect with each button press if you wanted to. Scroll Lock is basically the best key to use if you wanted to mess around with macro recordings. As far as what else the Windows-lock key can lock – you’ll also be able to disable Alt + Tab, Alt + F4 and Shift + Tab if you’d like. You can also change the colors of this key based on when it is locked versus unlocked. One small gripe I have about the software is that the pre-defined white color has a tint of pink in it. For some reason the K70 and Corsair’s engine doesn’t have a well defined RGB setting for it to look right. To fix this you just need to lower the red value until it looks white enough for you. You can download the software here directly from Corsair’s official website. I’d also recommend checking out some custom profiles as well, Lewis Gerschwitz has made a ton of awesome profiles that are definitely worth looking at. There are videos showcasing each of the profiles that he has created. Is The Corsair K70 Worth The Price? 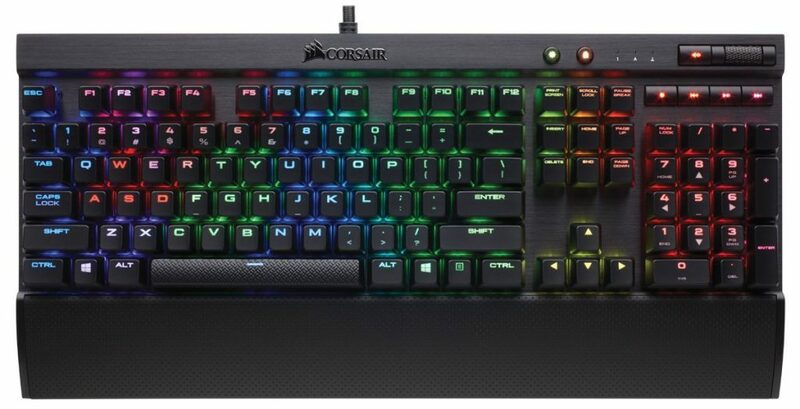 It’s a pretty penny to own a Corsair K70 keyboard, especially when you’re wanting the full-fledged RGB version. 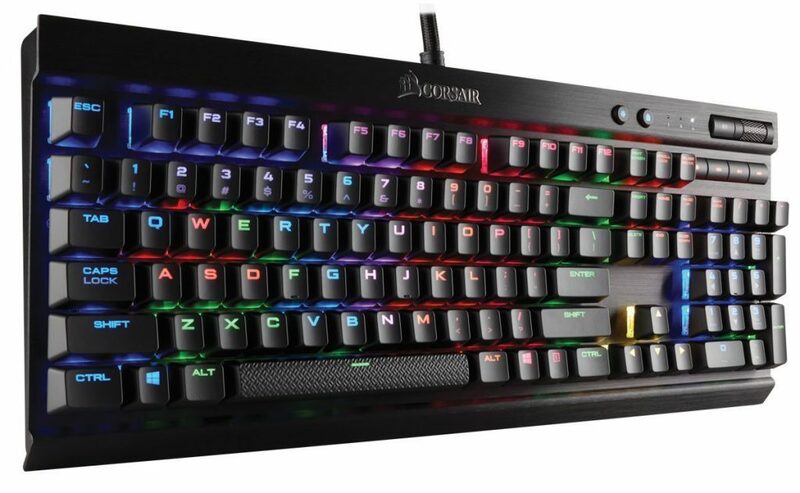 If you’re wanting all of the lighting options on top of Corsair’s amazing switches with an extremely durable frame then look no further, this is the one to go for. I personally believe that it’s worth the price if these are all of the types of features that you’re currently looking for in a keyboard. Don’t just take my word for it though, there are plenty of customer reviews as well on Amazon that you should read up on! This marks the end of the Corsair K70 Rapidfire RGB review. What do you think of it? Have you taken a look at all of the awesome RGB profiles that are available online? 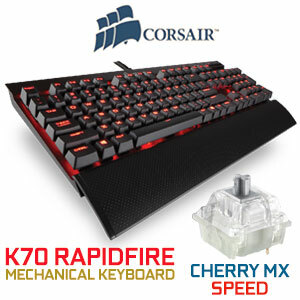 Tagged corsair, high quality, k70, rapidfire, rgb keyboard. Bookmark the permalink.